In the summer of 1945, as Germany lay in ruins, an officer of the British occupying forces, together with the German conductor Hans Schmidt-Isserstedt, went in search of musicians for a new radio symphony orchestra in Hamburg. The first public concert was presented a few months later, and - as an American newspaper later wrote - "the old world's youngest major orchestra" was born. The NDR Symphony Orchestra quickly rose to become an important representative of German musical life after the Second World War. 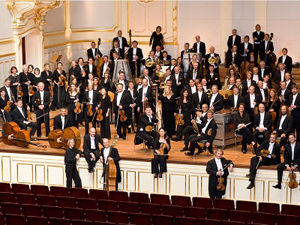 Since then, numerous concert tours have taken the orchestra to the world's most prestigious concert halls. Christoph von Dohnányi assumed the position of Chief Conductor at the beginning of the 2004-2005 season. At the same time, Alan Gilbert was appointed Principal Guest Conductor. The NDR Symphony Orchestra is the resident orchestra of the future Elbphilharmonie.